2Wheel Chick: One day one photo - 4: Editorial fail! One of the magazines I write for, Cycling Weekly suffered an almighty blunder last week when a photo was published that had a sexist caption. I only knew about the controversy when I saw the apology published on Twitter by the editor Simon Richardson. At first I thought it was a spoof. Sadly, it wasn't. The photo was part of a regular feature in the magazine known as Ride With in which a journalist rides with a cycling club and talks about the club's history, its riders, and its mission. This photo with the caption did the rounds on all the social media and mainstream print media, stirring the wrath of cyclists (and non-cyclists) the world over, with some people saying that they will no longer by the magazine. I must mention, as someone who writes for the magazine, that it is sub-editors and not journalists that write captions on photos, particularly as some writers, myself included, are not in the office at the time that the final version goes to print, and so don't even know what photos will be used, let alone what captions will be written. It is clear that it was a pretty poor piece of copy to put. The caption was apparently written by the sub-editor, possiby as their idea of a joke, with the intention of changing it later. Sadly, the change wasn't made, it slipped through the editorial net, and the offensive caption went to print. An apology was issued by the editor, and as Simon said, this is not representative of Cycling Weekly or its editorial policy. It was down to the action of one individual. I absolutely agree with the fact that this is not the editorial direction of Cycling Weekly. The magazine isn't a sexist publication, and the staff are not sexist either. I must say that while people are rightly annoyed at the caption, I don't see why they should brand Cycling Weekly as a publication that doesn't care about women's cycling. 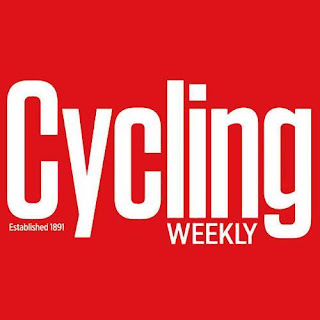 As someone who has contributed to Cycling Weekly and other cycling publications within the Time Inc group since 2009 I would say that they are anything but sexist! The magazine employs many women on its editorial team as well as commissioning pieces from female contributors like myself. Also, wherever possible I have covered women's cycling events and profiled female cyclists. 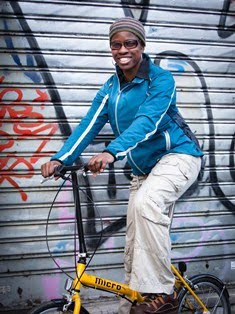 Certainly when I have pitched ideas relating to women's cycling they have never been rejected. This week I am due to do a Ride With feature with an all-women's cycling club, something that had been scheduled some time ago, and this is on the back of a feature in which Cycling Weekly profiled the club's all-women's cyclosportive that was held a few weeks ago. I have other features on women's cycling in the pipeline to write for Cycling Weekly, and I intend to continue submitting such articles to the magazine in the same way I have done for the last eight years. So while I agree that this was a sexist comment and a massive editorial fail on the part of Cycling Weekly, something that has never happened since 1891 when it was launched, I don't believe for one minute that the magazine is not interested in covering women's cycling, or is sexist. I simply wouldn't write for them if that were the case!